Learn about iCloud Mail professional email address for small businesses, with pricing, reviews, company info, and FAQs. 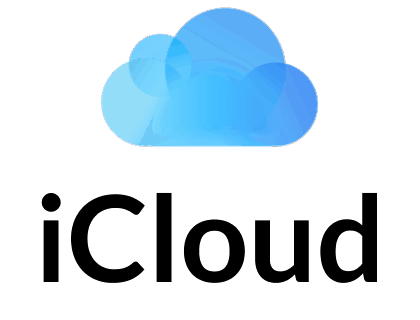 iCloud Mail is a free professional email address for Apple users. iCloud gives you up to 5GB of storage for emails, documents, and other data stored in the cloud. Pros: Free, clean interface, no ads, send large attachments fast. Cons: Confusing to use at first, no labels or search folders. Bottomline: Easy-to-use, accessible via IMAP and web. What can I do with iCloud Mail? Aside from email, you can use iCloud to sync and store your data across all your iOS devices. How do I get in touch with iCloud Mail customer service? Contact iCloud customer support on 1 (800) 676-2775. What are some iCloud Mail alternatives? iCloud mail. No issues, and I already use the native iOS client. I've had an @me.com email account for almost ten years now. And I've decided to stick with it and wanted to stay away from Google stuff where I can. Especially for an email account that is used for personal/private correspondence. I'm just annoyed with the iCloud website version. It's clunky, loads slowly, and searching saved/archived email is a terrible and unintuitive experience. Also, the iCloud website seems to never "trust" my computer. Many times I have to repeatedly sign in and do a two factor authentication almost every time I log into my email on the same computer. It's super annoying. I've read multiple times that Apple wants to expand more into "services" and I just can't help but feel that their iCloud mail is one of those services that is neglected. An iCloud account is free nowadays and you don't even need to own an Apple device. There's the iCloud control panel for Windows and it's easy to set it up on other devices as well. Well, its simple and just works and there are no ads and tracking of that sort. Junk filter is great too. Storage (5GB) shouldn't be a problem unless you plan to use iCloud Photo library. I purchased the 99c/month 50GB plan. It’s been my main email service since iTools almost 18 years ago. It has always been reliable for me. And nowadays you can use it on any System through IMAP with an app specific password too. I find searching in Apple mail apps, in either iOS or macOS to be incredibly behind gmail. I guess I haven’t used mail on macOS in a couple years but iOS searching is terrible.